Scuttling legs, a large, smooth carapace, arching antennae, prodigious claws. Crawfish iconography and cuisine are ubiquitous in New Orleans—printed on plates, aprons, dish towels, and t-shirts in the French Quarter, served up in etouffee at creole eateries, their shells crunching underfoot in the aftermath of Mardi Gras’ bacchanalian parades. It is at once staggering and unsurprising that though an estimated 90 percent of crawfish bought in the US are produced and fished in Louisiana, upwards of 70 percent are consumed within the state. 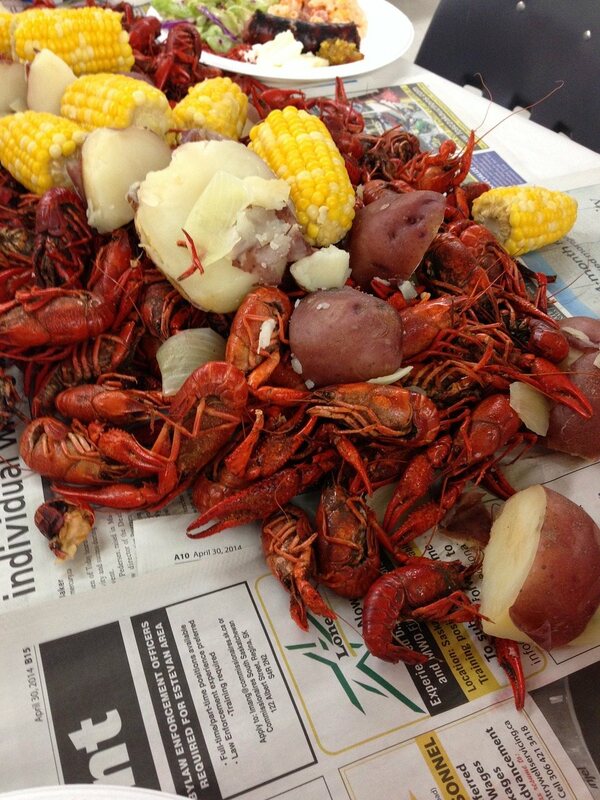 On average, most Americans consume a quarter pound of crawfish every year—the average Louisianan eats over ten pounds. The story of crawfish in Louisiana is one of adaptation, culinary genius, aquaponics, and ecological destruction by the petrochemical industry. This is, after all, Louisiana. Crawfish are invertebrate arthropods, found almost all over the globe. The earliest known fossils were discovered in Australia, and are believed to be 115 million years old. North American crawfish belong to a subfamily known as cambarinae, which comprises about 300 species. 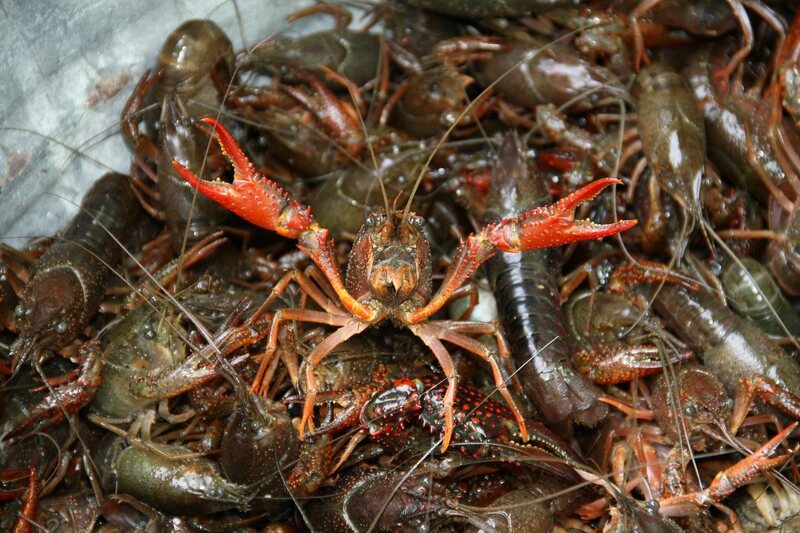 The two species that we consume in Louisiana are known as red swamp crawfish (Procambarus clarkii) and white river crawfish (Procambarus zonangulus). Most crawfish harvested in the wild today come from the Atchafalaya Basin, which writer Calvin Trillin once referred to as “a swampy wilderness that is to crawfish what the Serengeti is to lions.” The Atchafalaya also functions as a giant sponge, absorbing water from heavy rains, and preventing widescale flooding. Crawfish are a keystone of the ecosystem within the Atchafalaya Basin and serve as a food source to the thousands of migratory birds that roost there every year, as well as raccoons, otters, mink and fish that swim in the basin’s waters. Baby gators eat them too. The Atchafalaya Basin contains both flooded, low-lying areas, areas that flood periodically with drier periods, and upland forests—the Atchafalaya Basinkeeper organization calls it “a river of trees.” The crawfish indigenous to the basin have adapted to this cycle of flooding and drying, as have the animals that feed on the crawfish. In spring, mature crawfish mate in open water, and the females store sperm in what the LSU Crawfish Production manual calls a “special receptacle.” She then takes this special package and creates a vertical burrow in the ground, at the bottom of which is a small chamber and plugs the top with mud. Once ensconced, she fertilizes the eggs. All crawfish, including males, create burrows during dry spells. For the eggs to develop and hatch successfully, there must be some water at the bottom of the burrow. A large female of either the red swap crawfish or the white river crawfish can spawn more than 500 eggs. Heavy rains alert the crawfish to seasonal flooding, and the crawfish will push out the mud plug from their burrows and emerge in the fall. In three to five months, the crawfish are large enough to harvest. Once people began making their home in Louisiana and in and around the Atchafalaya Basin, they began to consume crawfish as well. Anthropologist Alaina Comeaux, who studies the history and culture of pre-colonial peoples of Louisiana, explains that crawfish boils predate the Cajun culture that is often credited with the dish. “It’s a very native dish,” Comeaux says. Native Americans cooked the crawfish in earthenware pots and boiled the water with hot stones. The seasoning—salt and hot peppers, are native spices and were traded at Bulbancha, the trading port that became New Orleans after French conquest. The auxiliary ingredients found in a typical boil—potatoes, corn, and pineapple—are all crops that come from the Americas. Thousands of years later, the Cajun people (Francophone exiles from Nova Scotia) also began cooking with crawfish, modifying recipes used for lobster up north. Today you can find crawfish in “monicas,” in pies and patties and pasties, savory king cakes, pastas, and stews as well as the ubiquitous boil—stingingly salty, burning with pepper, and fiendishly difficult to eat without years of practice. Though the native people of Louisiana and the Cajuns of Louisiana harvested crawfish from the wild, today most crawfish consumed in Louisiana comes from farming operations. The LSU Agriculture Extension reports in their “Crawfish Production Manual” that since “2000, less than 20 percent of Louisiana’s harvests on average have come from the wild fishery” though today that number may be even lower. The number of commercial crawfishing licenses issued each year has dropped from 2-3,000 to less than 400 most years for the last decade. Moreover, though farming crawfish is surprisingly environmentally sustainable, the loss of wild-caught crawfish with the crawfish marketplace signifies a devastating loss of habitat and a way of life. Most fish farming, as it is practiced around the world, is incredibly damaging to the environment. Farming salmon, which can be done within floating pens, creates an artificial concentration of nutrients from the fish waste, and can also involve adding chemicals that are used to keep the enclosures clean. 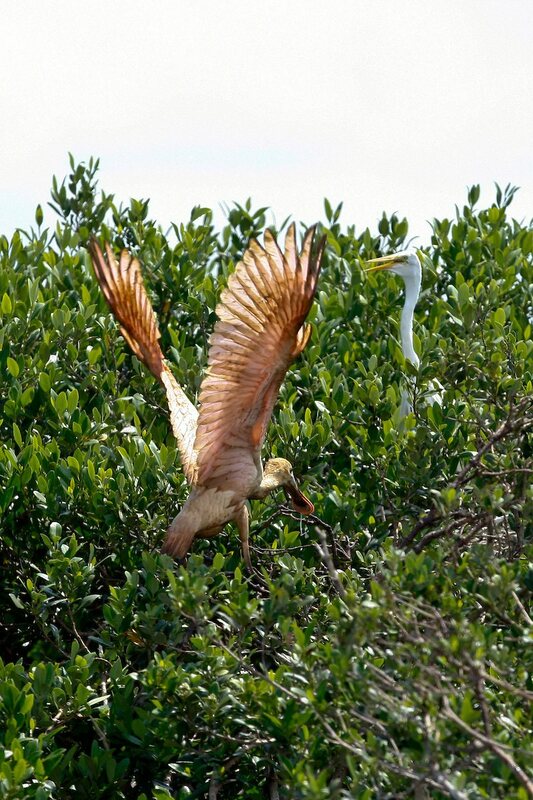 Farming shrimp often means the destruction of mangrove forests, which are essential ecosystems for tropical birds and fish. Surprisingly, farming crawfish commits none of these sins, in fact, the Natural Resource Conservation Service(NRCS), the conservation arm of the Food and Drug Administration (FDA) lists crawfish ponds as beneficial to wetlands. Currently, a large percentage of crawfish are farmed as part of a rice crop rotation—about 60 percent, varying from year to year depending on the price of rice. With rice, crawfish can be introduced into the flooded rice fields and can survive by eating insects, worms, and snails around the plants, as well as decomposing “stubble” once the crop has been harvested. Crawfish are unusual among farmed animals in that they do not need to be fed by the farmer—decomposing plants and the animal communities found in wetlands provide them with all they need. One acre of land can yield hundreds of pounds of crawfish. “They can actually reduce suspended solids, and the nutrient load as well,” says Dr. Greg Lutz, a professor and researcher who specializes in crawfish production with the LSU Ag extension service. The NRCS also claims that crawfish ponds provide wildlife habitat across Louisiana by mimicking natural wetlands. Occasionally, new water may need to be pumped in to keep oxygen levels up while the plant matter is decomposing. Though crawfish do extract nutrients from their environment—calcium is vital in creating their shells, and they frequently molt as they grow, according to Lutz, the clay substrate most of Louisiana sits upon is sufficiently rich in calcium that depletion does not appear to be significant in farmed areas. Lutz also reports that crawfish metabolize food so efficiently that their feces are mostly inert, rather than nutrient-rich. American farmed crawfish have received the highest marks in sustainability from multiple sustainability ranking systems, such as the Monterey Bay Aquarium’s Seafood Watch List and the Marine Conservation Society. The only “inputs” needed are cleared land, and fuel to pump water into the fields. Ideally, in the future, this power can come from carbon-free sources, further reducing crawfish’s environmental impact. The other way to harvest crawfish is the original method—collecting them in the wild, mainly from the Atchafalaya Basin. However, the number of crawfishers has dwindled in the past decades, as a network of pipelines and channels crossing the basin have made conditions harder and harder for both crawfish and crawfishers. “The basin has been so filled in with sediment and so channelized that a lot of that habitat is not optimal for crawfish and their life cycle,” says Lutz. Natural sedimentation has been accelerated by Army Corps of Engineer channelization projects, as well as “spoil banks” made by pipelines and access canals. When canals are dredged, and channels are dug to install pipelines, the displaced sediment has to go somewhere. More often than not the sediment is left as an unnatural levy that disrupts the hydrology of the basin. “Over dozens of years, everyone has skirted the last step: moving spoil banks,” says Dustin Renaud, the communications director of the Gulf Restoration Network. Many permits maintain that spoil banks must be leveled after the project (creating a channel, laying a pipeline) is complete. However, the basin has seen so many of these types of projects that Renaud reports that the initial measurement of elevation given may be incorrect—that is, measurements of elevation pre-project are taken from old spoil banks. “The size of the deep swamps decrease, and the cypress-tupelo swamp becomes ‘bottomland,’ which doesn’t flood, and doesn’t produce crawfish… the crawfish are the base of the swamp food chain. Everything feeds on crawfish,” reports Dean Wilson, the Director of Atchafalaya Basinkeeper. 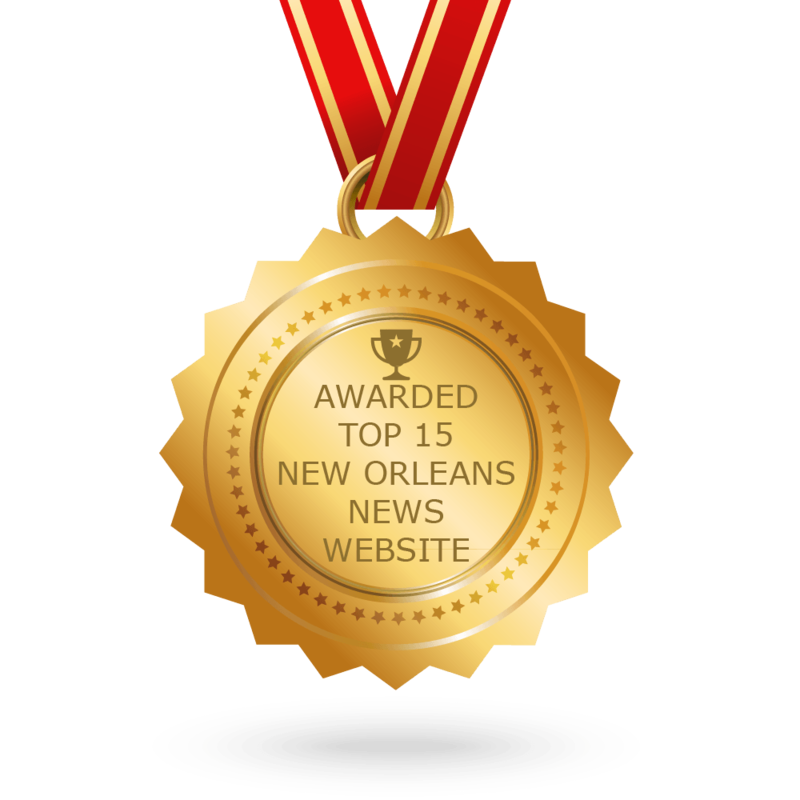 Wilson was a fisherman in the basin for 16 years before eventually founding the Atchafalaya riverkeeper chapter in 2004, part of the global Waterkeeper Alliance network. Wilson says he became activated in the struggle for environmental preservation of the basin when he “realized it wouldn’t always be there.” Extensive cypress logging in the early 2000s—to produce mulch, no less, is what turned him on to the struggle to protect the Atchafalaya. “I think the biggest concern [to crawfishers] is hypoxic zones,” says Renaud. “Where there’s no oxygen, there’s no crawfish,” he continues. Crawfishermen go out in boats and use traps within the Atchafalaya to capture crawfish to sell. However, as sedimentation has picked up and the spoil banks have encroached and stopped the water flow through the swamp, the crawfishers have been forced to alter their traps. Jody Meche is one such fisherman. Though he’s been crawfishing for a living for close to three decades, he started going out fishing when he was just eight with his father. Now Renaud is continuing that legacy, taking his grandchildren out on the water. However, he also is the president of the Louisiana Crawfish Producers Association-West, sits on the board of the Atchafalaya Basinkeeper, sits on the Crawfish Promotion and Research Board and is the mayor pro-tem of Henderson, Louisiana. Much of his time is spent advocating for crawfishers, and the basin. “Over 20 years ago, I started becoming an advocate. Being that I have a big mouth, I started getting elected to positions to represent these issues,” says Meche. “There are so many soil banks left behind from dredging and pipelines, the current doesn’t flow well unless it can top those levies. It gives us poor water quality, hurts the crawfish and all fish,” he says. The water levels are high this year, and Meche hopes this bodes well for the spring’s crawfish harvest. Wilson and Meche report that as little as 50 years ago, crawfish traps could be built as small as one foot long, and could rest on the riverbed wholly submerged. 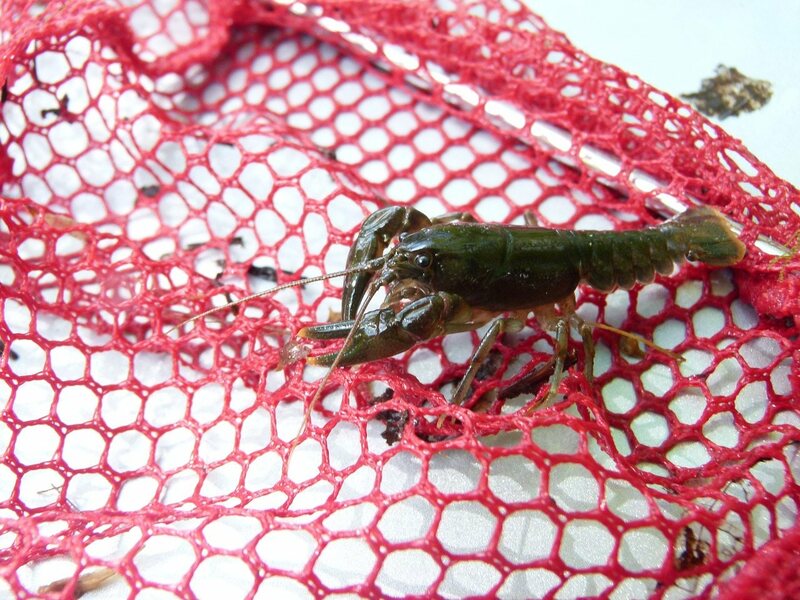 Now, however, as the river flow has been disrupted and the oxygen levels have dropped, traps need to be built longer and longer to maintain oxygen in the traps so that the crawfish do not die before they are brought to market. “Some of these traps can be eight feet long,” says Meche. That’s an eight-fold increase needed to match the pace of deoxygenation and crawfish decline. Not only that, but the traps must be left in the water longer to catch enough crawfish to sell. The situation is one where a modern crawfisher must work much harder to catch a fraction of what crawfishers could harvest a few decades ago. “Years ago, a fisherman could make a living with 3-400 traps. You could catch a good consistent living for your family. Now we have to build up to 2,000 traps,” says Meche, who estimates he has invested close to $100,000 in equipment. With their livelihoods in doubt, fewer and fewer people are turning to crawfishing to earn a living. Wilson notes that those that fish the basin now are fewer in number and older than in years past. Both Meche and Wilson’s concerns with the pipelines in the basin had to do with the water flow, and not the pipelines below potentially leaking. “There’s definitely a threat of pipeline spills, but that’s not the main issue… I guess until there is one,” muses Renaud. Energy Transfer Partners (ETP), who are attempting to build the controversial Bayou Bridge Pipeline, have a recorded spill from their facilities every eleven days. The Louisiana Crawfish Producers Association-West are plaintiffs on a lawsuit against ETP, calling for the revocation of their environmental permits from the Army Corps of Engineers to be revoked. A large-scale spill in the basin would be an ecological catastrophe. 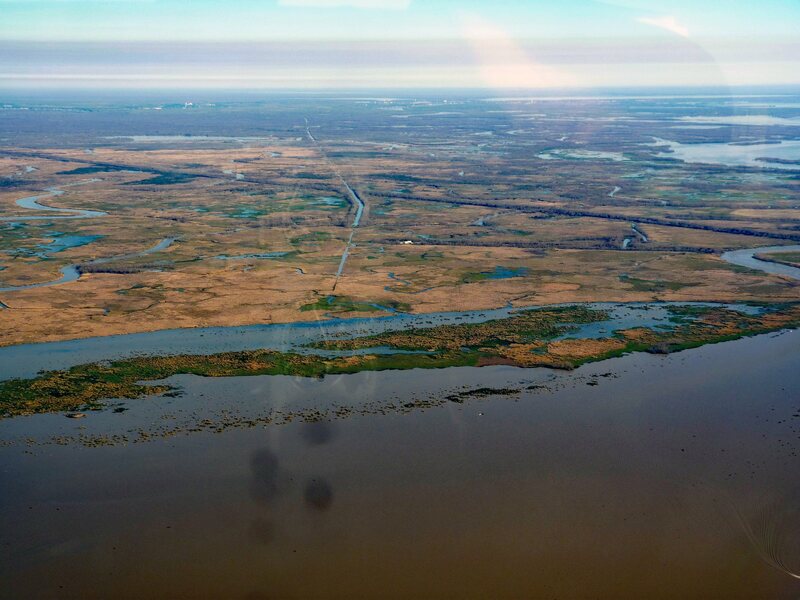 The Atchafalaya’s rookeries are home to thousands of migrating birds each year, populations which need the Atchafalaya and its crawfish to support their breeding populations to survive, along with the other animals that feed on crawfish and their predators. Though humans can eat farmed crawfish, the future of the Atchafalaya’s animal community rests on crawfish and the existence of healthy flowing waters. To disregard wild crawfish due to the sheer availability of farmed crawfish is to ignore both traditional ways of life, and non-human entities altogether. However, the fact that non-human communities have intrinsic value is not a part of Louisiana’s pipeline permitting process, nor its environmental code enforcement. 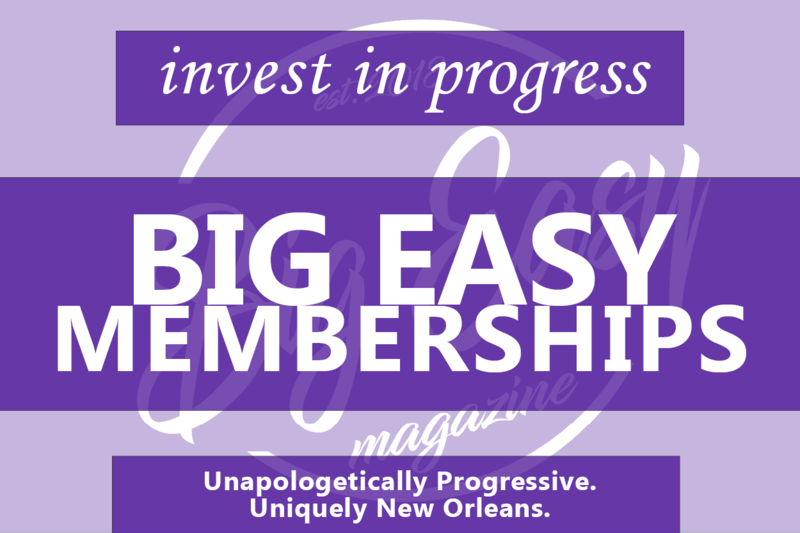 “The Atchafalaya is severely threatened,” Wilson told Big Easy Magazine. Though many permits for work within the basin mandate that spoil banks are to be leveled, this is seldom enforced, leaving the basin keeper to conduct monitoring and enforcement. Meche has observed that there are now parts of the basin where wildlife is scarce, due to habitat destruction, despite the Atchafalaya’s status as some of the most ecologically productive in the country. “We’re basically doing the government’s job,” says Wilson on the Basinkeepers’ work monitoring and suing for enforcement. “All the projects filling up the basin need to come to a halt… companies need to be made to fix it,” he says, adding that there also needs to be a focus on restorative projects to reverse decades’ worth of damage. There has never been a study on the cumulative impacts of pipeline spoil banks and dredging projects. Renaud says that it is high time for one though others, like Cherri Foytlin, a spokesperson and leader with the L’Eau Est La Vie protest camp, says that such measures do not go nearly far enough to prevent ecological destruction. “We have to try to reproduce the historic hydrology of the basin,” says Meche.